First, before the ink was even dry on his Nobel Prize certificate, Obama announced the Afghanistan “surge”, pouring another 30,000 US military into that destroyed part of the world. Then came Obama’s war against Libya’s Qaddafi, followed rapidly by his war to try to topple Syria’s Bashar al Assad. Soon after came Obama’s “war for democracy in Ukraine,” otherwise better called Obama’s attempt to provoke Russia into a new war confrontation with NATO by backing a gaggle of Ukrainian oligarchs, criminals and outright neo-nazis in Kiev. In July of this year, Obama’s Administration was pushing the President to launch a second try at bombing Syria back to the Stone Age, allegedly to destroy ISIS, a looney Jihadist Sunni sect that was said to be a joint venture of the CIA and Israeli intelligence. 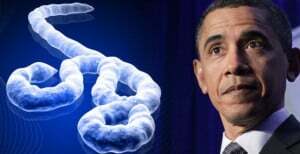 In a recent Washington Post article it was admitted that sixty-nine percent of all the Ebola cases in Liberia registered by WHO have not been laboratory confirmed through blood tests. Liberia is the epicenter of the Ebola alarm in west Africa. More than half of the alleged Ebola deaths, 1,224, and nearly half of all cases, 2,046, have been in Liberia says WHO. And the US FDA diagnostic test used for the lab confirmation of Ebola is so flawed that the FDA has prohibited anyone from claiming they are safe or effective. That means, a significant proportion of the remaining 31 % of the Ebola cases lab confirmed through blood tests could be false cases.